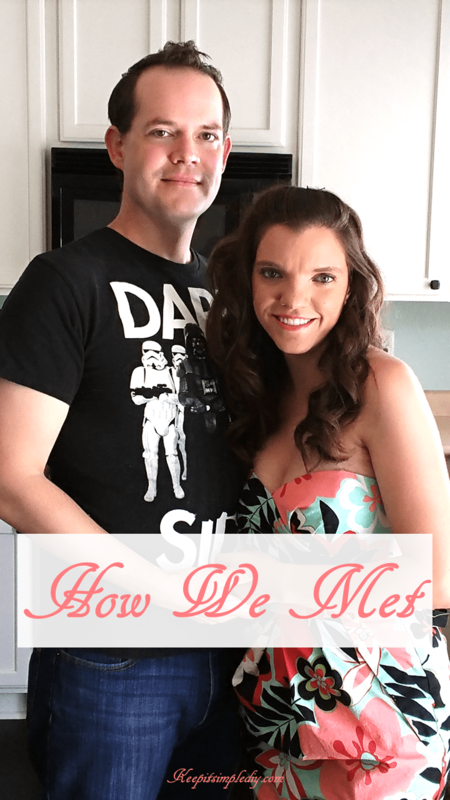 How We Met – Happy Valentine’s Day! Nick and I met in 2008. I don’t remember the exact day or even the season when we met because at that time I didn’t know he was the one. Actually, I didn’t know he was the one until years later. This is the only photo we have from around the time that we met up until we started dating. Picture quality on phone’s has really improved over the past almost decade! In 2008 I was in my first and second years of college and was still hanging out with a lot of my high school friends. I had a few different groups of friends that overlapped a little in high school. After graduating, I re-connected with one of the people who was also in a few of the different groups of people I hung out with. When we reconnected, he had a new group of friends. I started hanging out with all of his new friends when I went to hang out with him. This worked well since they all shared an apartment which they called ‘the fortress’. Over the next five years, we hung out off and on when our schedules aligned. Nick is the only one I keep in touch with from the group because everyone moved out of state. Nick also moved out of state when my high school friend moved and they lived together all the way across the country. I remember right before he moved. I finally had finished school and had just bought my house. I had a good job and for once considered myself to be stable. Even though we only saw each other every once in a while, I felt quite bummed when he moved out of state because I was just learning that I had feelings for him. I decided to go with the old saying and let him go do his own thing and didn’t tell him about my feelings. If we were meant to be, when the time was right, we would be together. A while after he moved we started video chatting almost daily. We would also play a game similar to Risk on Google Plus Hangouts. Nick never let me win. During these chats, I knew my feelings were growing stronger for him. I watched as he dated different girls just waiting for the right time for us to be together. I knew that the next move in my life would be to settle down and I wanted to make sure that I didn’t rush anything. You know that giddy feeling you get when you talk to your crush? I had that every night when we video chatted. One day, I finally decided to tell him how I felt. I wish I could say I vividly remember that day but I don’t remember a thing. What a sweet story! Ya’ll look so great together! I love reading about everyone’s love story! Thank you for sharing it with us!